Record several sets of measurements in a chart like this one. 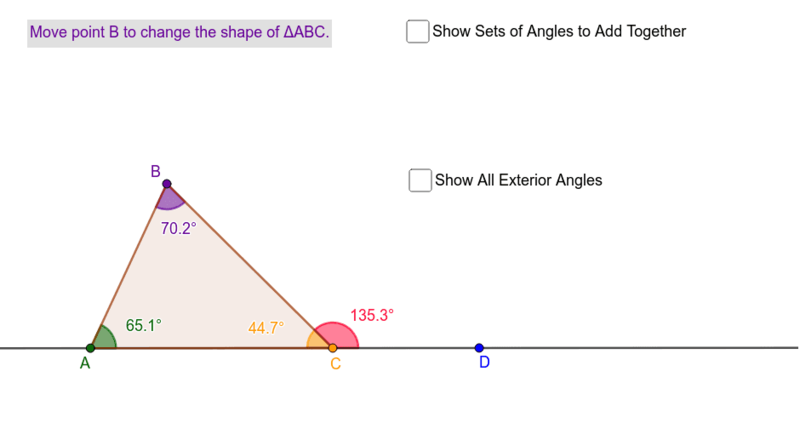 What do you notice about the angle measures as the shape of the triangle changes? related to the other angles? 4. What is the sum of the 3 exterior angles (one at each vertex)?